I've always bought the fastest memory cards available. I did this because memory cards are relatively cheap and it was a lot easier than researching the real-world performance of various cards in my camera, and how that would translate to the sort of photography I do, which is all over the map. It's the classic over-engineering approach: When you don't know the exact requirements, you specify a design that exceeds all likely situations. It works but it is wasteful. I always wondered whether I was needlessly spending dough on expensive cards. I listened to some pod casts that laid out nice arguments for why, unless you're a sports/wildlife photographer or you're shooting video, you're just fine with slow cards. So I bought a couple Class 4 cards that I saw on sale at an office store. Boy, were they off the mark. A little background: After a digital camera captures an image, it is first written to a "buffer" which is really fast memory (it's actually RAM, similar to what's in your computer). Then the image is transferred from the buffer onto the memory card, which is much slower to write to than the buffer. Why go through this intermediary step? Ironically if you're not a computer type, it's to speed up the functional usage of the camera. The image can be written to the buffer very, very quickly. Once that is done, more pictures can be taken while the much slower task of shuttling images from the buffer to the memory card is going on in the background. If the camera didn't have a buffer, you'd have to wait until the image was written to the (much slower) card before you could take another one. So, having a buffer allows images to be taken more quickly. The argument for not needing fast memory cards for non-sports, non-wildlife photography is that since you're not taking reams of photos in continuous release mode, you are rarely if ever in a situation where you'll fill up the buffer. And that's true, as far as it goes. However, while the camera is shuttling images from the buffer to the card, other operations that involve reading data from the card are impacted. Maybe not shut off completely, but things slow way down. This can include reviewing images off the card. I found this out the hard way with these new Class 4 cards I bought. I was wanting to compare the zoomed-in sharpness of a series of photos and I couldn't switch between photos without first letting the camera finish dumping the last photo to the card, which according to my informal count was taking about 6 seconds per photo (14-bit RAW, no compression). That 6 seconds seems like an eternity when you're trying to work. If you're an unapologetic chimp like I am, beware. 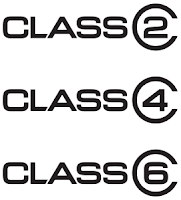 Class 6 cards minimum. I'll use these for cheap back-up when traveling. Class 10 or UHS-I cards for video or when I need to shoot a lot of continuous release stuff. I don't need many of these, but having at least one pair is a good idea.